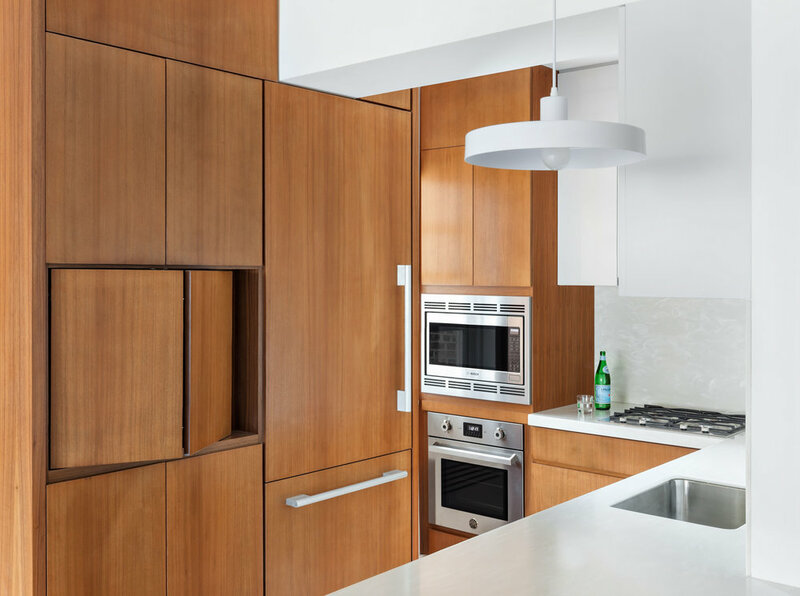 Working with a dynamic, jet set couple living in Hong Kong, weetu was engaged to transform their 1950's built, traditional two bedroom, two bath apartment into a clean-lined, contemporary escape for their time residing in New York. The design included opening up the existing entry way and suffocated kitchen to maximize the living areas. Natural and neutral materials, such as wide plank European oak floors and walnut millwork, create a warm and timeless canvas for future furnishings and decor. Conditioned from Asia living, it was a huge priority to the client to utilize every square inch of storage space. weetu designed a completely custom kitchen in order to accomplish this, along with catering to the clients love of cooking. 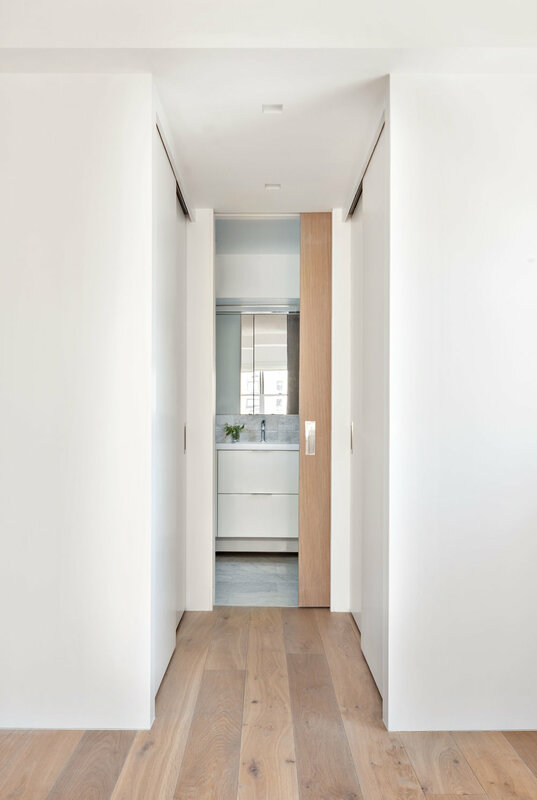 Simple, yet modern, details such as frameless doors and flush wall base, lend to the modern transformation of the apartment. To brighten the living and dining spaces, weetu integrated linear LED lighting to wash the walls. Weetu also reconfigured the master bedroom suite to allow for separate closets leading to the ensuite master bathroom with marble tile surfaces and custom designed vanity. A built-in custom ledge and desk was design for the guest bedroom on looking Madison Avenue.